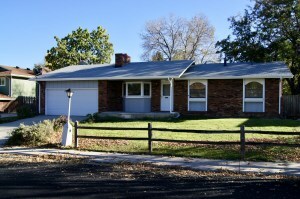 1601 24th Street, Longmont – $335,000 – Under Contract | Kearney Realty Co.
I’ve just listed this very nice ranch style home in a great North Longmont neighborhood. The home features a good sized and well maintained yard, a nice back deck, a beautiful flagstone entry patio and a two car garage. Inside you will find three bedrooms and two baths on the main level, a living room with vaulted ceilings, a wood burning fireplace, a large basement with one finished room and lots of room for further expansion. Well located just a short walk to Sanborn Elementary School. Radon mitigation is already installed. A great value in Boulder County.